I'm pretty sure Russ sold this car - just wondering where it ended up and how the VW struts worked out longer term. I'm thinking of using them with Scorpio knuckles, so I'd actually need a 1.35mm shim. Wait, or would it need to be half that thickness (.675mm)? Regardless, exact thickness shouldn't be a requirement since it's a pinch-bolt fitting. I have run this setup on my current xr and my last xr since 2008. No issues with the spindle. I was able to source a myriad of affordable strut options. Ran multiple different sets of coilovers, etc. The only reason I am getting rid of my setup is because I have 4x4 parts. I have yet to find a downside to this conversion. It really is not that scary. I'd like to point out that in the picture of the modified stock struts to coilovers, he cut the tang that slides into the pinch bolt so that he could slide the strut bodies lower into the knuckles. It is not necessary to cut this tang to install the struts, however this is a perfectly reasonable modification if you want to go lower without losing strut travel. mopman93 wrote: I have run this setup on my current xr and my last xr since 2008. No issues with the spindle. I was able to source a myriad of affordable strut options. Ran multiple different sets of coilovers, etc. Cool, didn't know others had run them. I know that lots of other Fords (Taurus, Focus, Contour) have the correct size tube (51mm) to fit the Scorpio knuckles, but the tops are very differently mounted, requiring fabrication. Also add Jetta IV R32 to that list. It uses the same front strut but the rear has an eye to eye rear shock that is shorter in length. Might be more appropriate for lowered cars. does anyone have any pics of their car running this setup, I would consider doing it if it really goes low. Not because thats what Im going for but I like to have options. Bilsten PSS coilovers don't go that low on the Jetta so Im wondering how low they'd go on an XR. Post pic and the brand of coilover you're running please. I have a race height, and a show height to consider. Matt, if you go into the wheel pictures thread and look at my car you can see it running the very coilovers I have in the for sale section. They are ksport kontrol and will lower you to any height you would like since the coilovers body is adjustable as well as the spring perch. "Low" in the Jetta crowd is way lower than I personally think an xr should go from a looks and a handling perspective. H and rs will get you lower than konis or bilsteins, h and r ultra lows will make you start losing room between the spring perch and the tire. If I were to do it from scratch I would find a set of pss10's which are adjustable and have them revalved as necessary. in those pictures, how much more adjustability do they have? 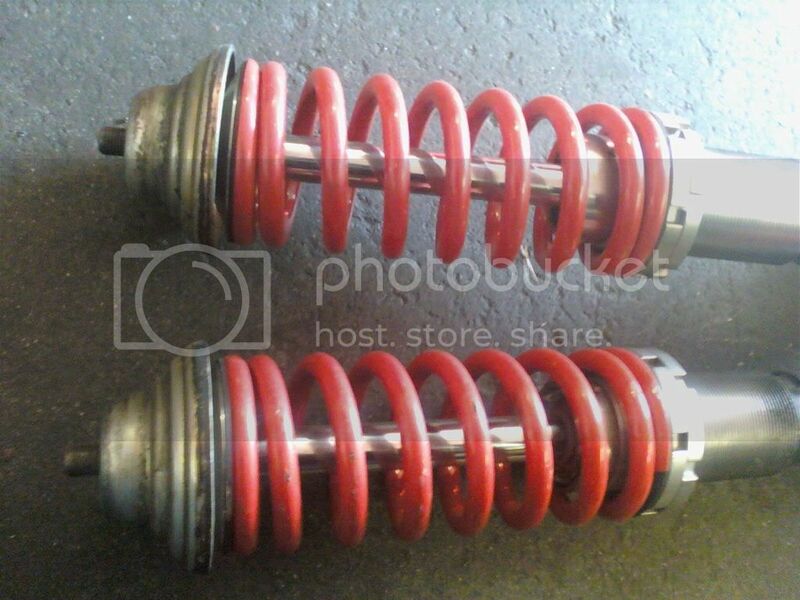 the PSS coilovers don't go that low, thats why Im wondering if they go lower on an XR than they would on a Jetta. In those pictures you could still lower it another 2" or raise it about 2". Off the shelf h & r, konis, st, ksport, and others come with approx. 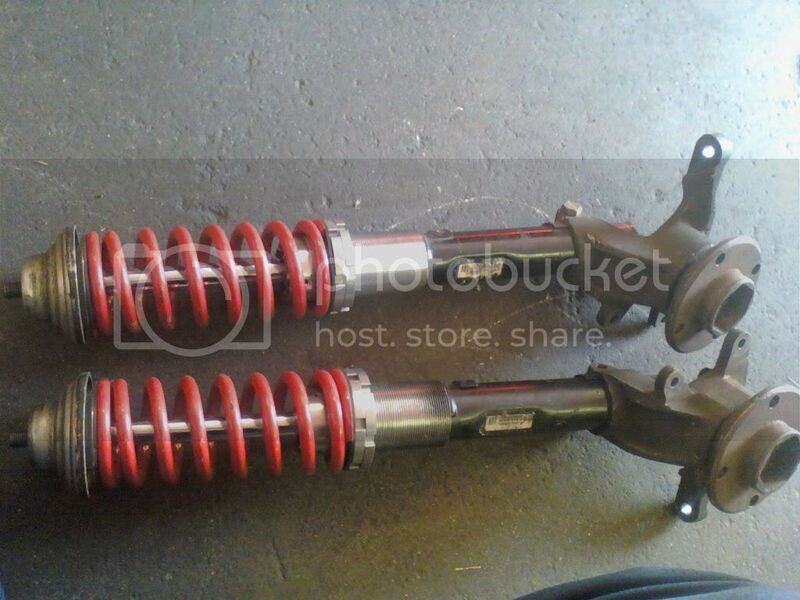 350lb front spring and 225 ish rear spring. Weight distribution on a Jetta is approx 70/30 front to back. The bilstein pss coilovers IRRC come with a 420 lb front and a 212 lb rear. All of the coilovers that people say "don't go that low" will go lower if you put in a stiffer shorter spring. 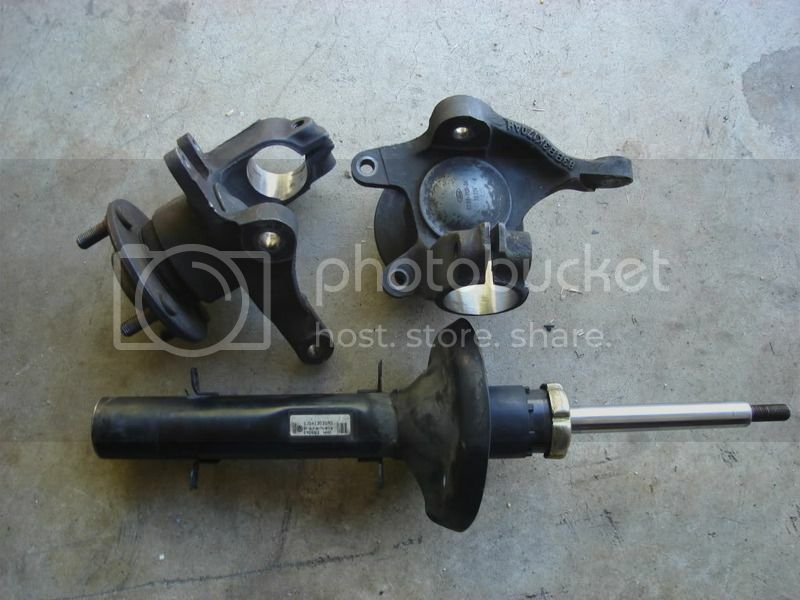 Is the typical coil-over conversion kit for the VW strut the same as the one for the XR? Just wondering since I've already got a coil-over kit for the XR sitting in the basement. And yes, I realize it's also dependent on the strut manufacturer and the tube dimensions they use. But just looking for a "probably yes" or "probably no" answer at this point. Brad, throw a set of calipers on those sleeves, the VW strut is roughly 49.5mm all the way up. I've noticed when I've gotten universal coilover sleeves that they are a bit loose on the xr strut and would definitely fit the vw strut. mopman93 wrote: Brad, throw a set of calipers on those sleeves, the VW strut is roughly 49.5mm all the way up. I've noticed when I've gotten universal coilover sleeves that they are a bit loose on the xr strut and would definitely fit the vw strut. 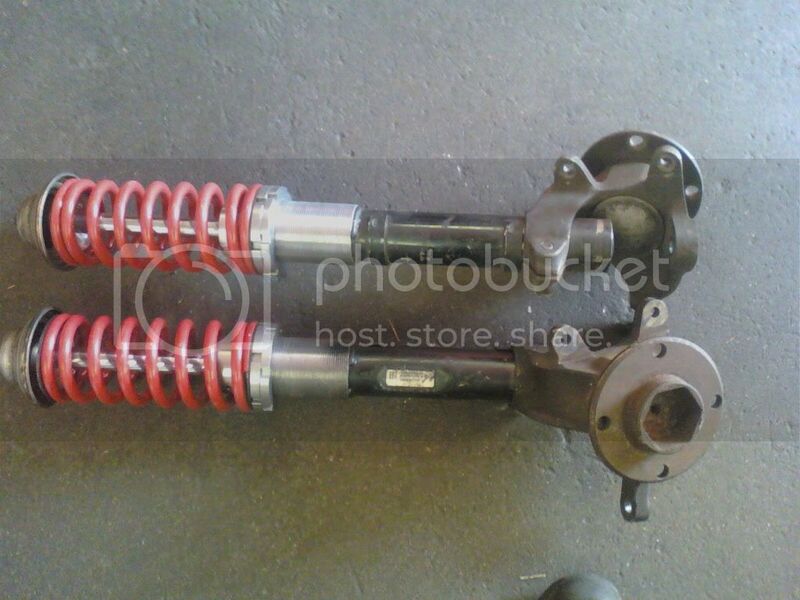 So indeed it would appear that this makes the VW struts a better option for coil-over conversions than a stock XR strut. Lol this will be debated. If you can have the hubs machined easily then yes it could provide a more cost effective option while increasing flexibility if you had plans to modify your car more than once. However, I don't think it can be stressed enough that for most enthusiasts, saving their pennies and purchasing the correct parts the first time (xr bilsteins with coilover bits or John's parts or konis or or or) will undoubtedly provide plenty of satisfaction. If you're a tinkerer (like me) then jetta struts for all!!! Has anyone tried this on the Scorpio? Seems to me a 0.4mm difference in the bore could be managed. Would be nice to know some of the other dimensional differences. Distance of spring seat surface to pinch flange hole? The adjustable KYBs look like a nice option.